I've had the good fortune to help many people build great careers with Salesforce. It’s a wonderful and unexpected benefit of being a Salesforce Developer. What was your journey to becoming a Trailblazer? While I was in university, I studied Philosophy but I worked as a developer on the side. Apex wasn’t my first coding language, but I would say that I was hooked on Salesforce within the first six months of hearing about it. 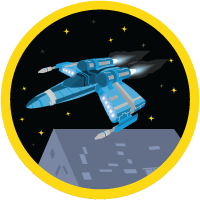 When Trailhead was first released, I quickly earned the very first modules. I remember waiting with excitement for more advanced content to be released! 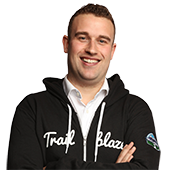 What do you love most about Trailhead? There are a few things I love about Trailhead. Trailhead gives you insight into particular features you want to study but may not otherwise have access to. It also frames the technical lessons within the context of business so everything is a possible use case. Lastly, I love getting my knowledge straight from the source. 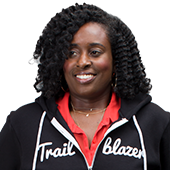 How do you give back to your community with Trailhead? I've had the good fortune to help many people build great careers with Salesforce. It’s a wonderful and unexpected benefit of being a Salesforce Developer. Whether at my job training new hires or at the User Group I help organize, I’m excited that I always have opportunities to help people realize the power of Salesforce. For instance, one person I trained is now a Salesforce consultant and another is now CEO of a Salesforce consultancy! The community is an amazing, powerful, and generous group. 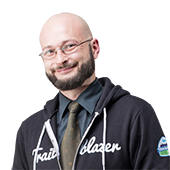 If I’m struggling with something on Trailhead, for instance, I know I can reach out to the community for support. It goes both ways too, I was able to help @YsrShk on Twitter recently and he thanked me publicly which was so kind. It’s just such a generous community, not competitive but instead quite collaborative. The community isn’t only generous with knowledge, they're philanthropic with donations! The members of my User Group recently raised €300 hosting an event for a children’s poverty group here in Munich. Working with Salesforce is truly interesting. I am genuinely curious and deeply passionate about Salesforce development. I often feel I got lucky because I enjoy my job so much, but a lot of people who work with Salesforce feel similarly. Guess we’re all lucky! 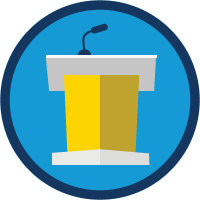 Trailhead can also keep things interesting by introducing you to the latest releases and features. There’s always something new to get interested in. 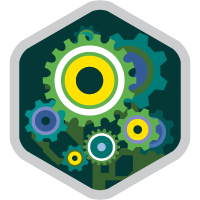 Click around, look through the trails on Trailhead and pick out the modules that interest you. It’s always great when learning something new to find a starting point that aligns with your interests. If you realize that you’re missing a skill mentioned and you can’t complete the module, search through Trailhead for that particular skill and learn it! 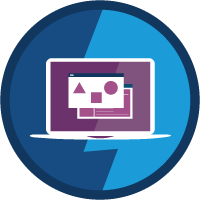 Since Trailhead is self-paced and there really are no rules, you can just dive in and, whenever necessary, look for the module that teaches you the missing piece. I’d love to master the business and management side of things. While excelling technically has always been a goal of mine, it would be wonderful to master business management. 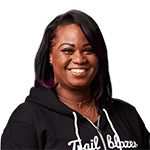 I’d love to pair my expertise in Salesforce technology with business skills and combine the best of both worlds. Ant. I plan and work with others. How can you become interested in something you never get a chance to feel passionate about? I’d like to change that. 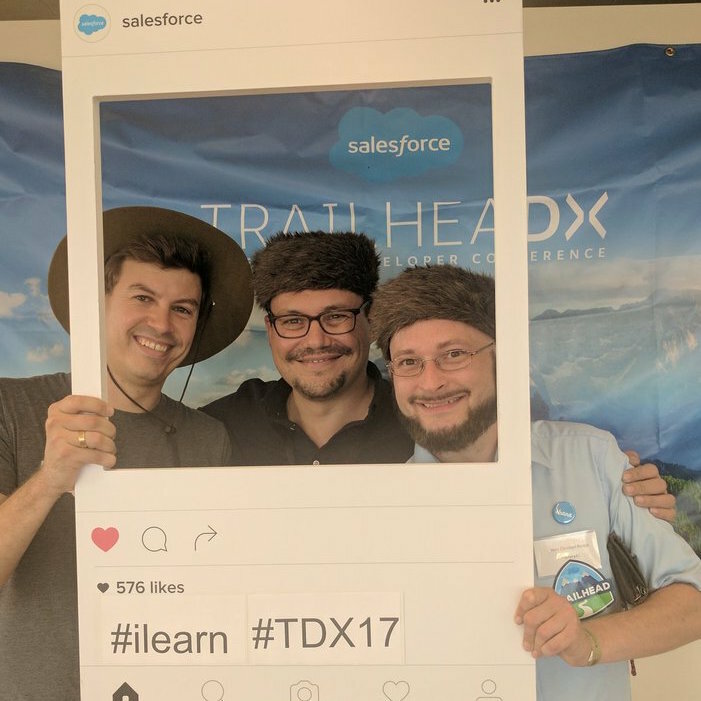 Because of Trailhead, we were able to carry out the implementation of Einstein Analytics into one of our Salesforce environments in-house.